Owners of auto dealerships, service stations and marinas turned out in force at the Fairhaven Planning Board’s meeting on Tuesday, 4/12, to protest proposed changes to the bylaw regulating their businesses. They all said they had no idea the changes were being proposed until after the public hearing was closed and the PB had voted to submit the article to Town Meeting. The changes include requiring a special permit for businesses that sell and service motor vehicles and boats, and new setback requirements for those facilities in residential neighborhoods. More than 30 people filed into the banquet room, including owners of other small businesses in town, all expressing concern that their businesses would be adversely affected by the changes. PB chairperson Wayne Hayward started by saying that the issue was added to the agenda at the last minute, so the board would not deliberate. They would listen to the input from residents, he said, but not vote on anything. The changes have been discussed for more than a year at PB meetings and a public hearing stretched over several meetings to discuss each and every word of the changes. The process started back in October of 2014. Mr. Hayward said the whole thing started when the Selectboard was allowing auto dealers to add cars to their permits with “napkin plans.” The added cars affected neighbors and caused complaints. The Planning Board wanted to change the bylaw to require the plans to go in front of them. They added boats to the bylaw to be regulated the same as autos at those businesses. 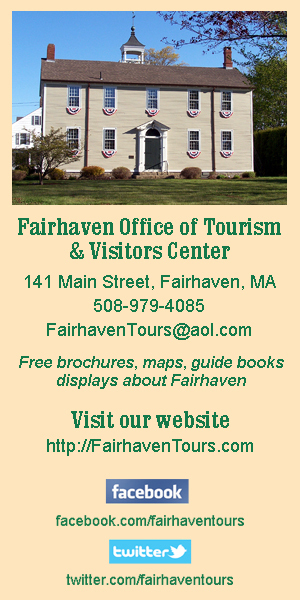 Kevin McLaughlin, owner of Fairhaven Shipyard, said that he and other business owners were not informed, and only heard about the changes after one person found out about them and told everyone else. He said the changes prohibit the exact kinds of things that the shipyard does. He said that he should have received a notice in the mail, because his business is affected, and contended that the whole process was done improperly. Mr. Hayward explained that the requirements for notification of a bylaw change are different than an abutter for a variance. The two went back and forth a bit about notifications, the dates of the hearing, legal notices, and the news­paper coverage. Mr. McLaughlin insisted that they should have been notified by mail. Mr. Hayward and town planner Bill Roth both also made it clear that the proposed changes have not gone into effect. They need to be approved at Town Meeting and by a 2/3 vote. Mr. Hayward explained that the current bylaw is nearly 40 years old and simply needed updating to reflect changes in the way business is done. They added boats, he said, because boats were not included. If something is not included, then that means it is not regulated; if it is not regulated, it means anyone can do anything, he said. He also tried to assure Mr. McLaughlin that marinas and shipyards were under a “different classification,” and would not be affected by the bylaw at all. “They went back and forth, with Mr. McLaughlin repeating the same parts of the changes that prohibit working on engines in the parking lot, that boats and merchandise cannot use parking that is designated for customers. Mr. Hayward said the working waterfront was not affected. Mr. McLaughlin said he felt he was specifically being targeted. He moves boats into the parking lot for the winter, more than the allowed 60 days, and he often has to do work in the yard. He said he could not possibly build a building large enough to accommodate the ships they service. Mr. McLaughlin also took issue with the provision that requires permission for “expansion” and “intensity.” He questioned what that meant. If he takes on a new line of boats, is that expansion? If he hires two new people, is that expansion? If he has a lot of work one week, is that intensity? He also noted that a special permit means the town can put any restrictions it wants on the operation. “Nobody wants you out of business,” said board member Rene Fleurent. Board members tried to explain that the existing auto businesses would not be affected by the changes. New businesses would have to adhere to the changes. But Mr. McLaughlin said he could not see that provision anywhere in the bylaw, but he could see how neighbors who have been complaining about the shipyard’s operations might use the new bylaw against him. He said he would have attended the public hearing if he had known about it. Mr. Hayward tried to explain that the shipyard was a “separate use” not affected by the changes. But the crowd was not buying it. Mr. Roth gave it a shot, too. “It says boats and repair,” said Mr. McLaughlin. The auto dealers and service stations also had their complaints, saying they should have been notified directly despite the legalities. Rui DaSilva, who owns Artistic Auto Body, said that he also felt that he, personally, was being targeted because of the way some of the changes are worded. He has the only auto body/paint shop in Fairhaven. He said they are all small business owners who work long hours and do not have time to read the “local yokel” paper. He and Mr. Roth went back and forth, with clearly old issues underlying the exchange. Business owners also worried that even if their businesses are not affected now, that might change with a new board and a new “interpreta­tion” of the bylaw. Then their businesses and properties would be worthless to sell. Gerry Bettencourt also spoke against the changes. “Everybody is afraid of not being politically correct,” said Mr. Bettencourt, and accused town officials of letting some people get away with more than others. The board has put the item on its agenda for the 4/26 meeting. They will be able to vote and deliberate. The article is already on the Town Meeting warrant and cannot be pulled. However, the PB can recommend passing over the article.